on the night of . due to polar day/midnight Sun. Beta The Interactive Meteor Shower Sky Map shows the position of the radiant (the circle) in the night sky above Bridgeport (Change location). Select dates above the sky map. Need some help? Please use another device/browser or check out the desktop version of the Interactive Meteor Shower Sky Map. Made of tiny space debris from the comet Swift-Tuttle, the Perseids are named after the constellation Perseus. This is because the direction, or radiant, from which the shower seems to come in the sky lies in the same direction as Perseus. The Perseids are widely sought after by astronomers and stargazers because most years at its peak, one can see 60 to 100 meteors in an hour from a dark place. The table is updated daily and shows the position of the Perseids radiant in the sky for the upcoming night. 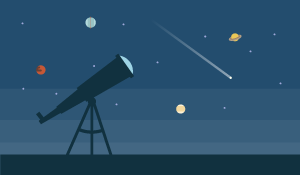 Use the date drop down above the Interactive Meteor Shower Sky Map to change dates. Azimuth is the direction, based on true north; a compass might show a slightly different value. Altitude is height in degrees over horizon. You don't need any special equipment or a lot of skills to view a meteor shower. Even though all you really need is a clear sky, lots of patience, and our handy Interactive Meteor Shower Sky Map with a visibility conditions meter to see a meteor shower, the following tips can help maximize your shooting star viewing experience. Dress for the weather, and make sure you are comfortable, especially if you plan to stay out long. Bring a blanket or a comfortable chair with you—meteor watching can be a waiting game. Once you have found your viewing spot, lie down on the ground and look up in the direction of the radiant. Use our Interactive Meteor Shower Sky Map or the table above to find the current direction of the radiant in the sky. In the past, Aug 12–13 was cloudy 48% of the time (since 2000).